If you haven’t tried this restaurant please please do! I always watched in pure envy the “Man Vs Food” program on TV longing for something to arrive in our region that offered great barbecue. 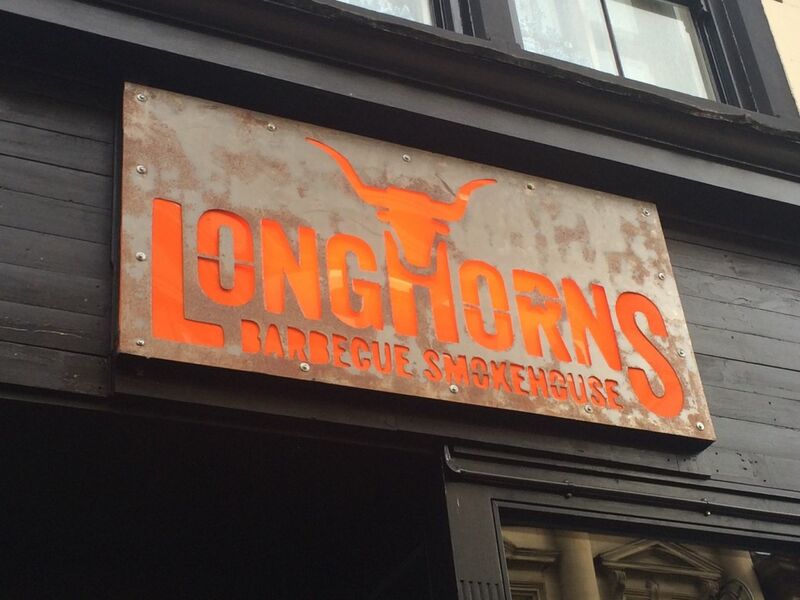 Theres are a few in Newcastle now but in my opinion Longhorns on Mosley Street is the best of the bunch! My particular favourite is the badass brisket but to be honest everything from pit beans, hog rind, badass ribs and pulled pork are all winners. I have attached the menu below but honestly I think had Elvis been alive today he would have died on the toilet eating the food from Longhorns rather than a cheeseburger!! You cant book a table but just turn up, loosen your belt and dig in!! !